www.ecclescenter.org or by calling 435-655-3114. Tickets for Full Moon at the Farm, an evening showshoe event, will go on sale Feb. 7. Tickets are $30 and must be purchased in advance. Tickets can be picked up at PC MARC, 1200 Little Kate Rd., r by calling 435-615-3401. The event will be held Saturday, March 7, and will feature live music by the Motherlode Canyon Band and a chili supper provided by Spencer's Smokin' Grill. Snowshoes will be provided by White Pine Touring. For more information, email denise@parkcity.org or visit www.mcpolinfarm.org. Mountain Accord host a public forum and open house on Tuesday, Feb. 10, at the Black Box Theater at the Eccles Center for the Performing Arts, 1750 Kearns Blvd., from 6 p.m. until 8 p.m. The forum will discuss Mountain Accord's proposed blueprint for the future of transportation, recreation, environment and economy in the central Wasatch Mountains. To learn more and provide input, visit www.mountainaccord.com. Newcomers of Greater Park City will host its monthly coffee at Park City Community Church, 4501 N. S.R. 224, on Wednesday, Feb. 11, from 10 a.m. until 11:30 a.m. The guest speaker will be Brian McInerney, hydrologist with the National Weather Service. He will give an update on the rain, snow and water patterns for our area. 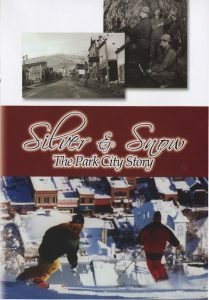 For more information, visit www.parkcitynewcomers.org . The Park City Wine Club will host "Tapas & Tastes" at Ruth's Chris Steakhouse at Hotel Park City on Thursday, Feb. 12, from 6 p.m. The them will be Life Is a Cabernet. A variety of cabernets will be paired with different dishes presented by Ruth's Chris. Participants must be at least 21 years old. The cost is $40. Reservations are required and can be made by visiting www.parkcitywineclub.com . Reservations can also be made by emailing Pamela Wood at parkcitywineclub@gmail.com or by calling Ruth's Chris at 435-940-5070 . The Park City Institute will present MOMIX’s "Dreamcatcher" at the Eccles Center for the Performing Arts, 1750 Kearns Blvd., on Saturday, Feb. 7, at 7:30 p.m. MOMIX, directed by Moses Pendelton, is a performing arts company that uses dance, theater and visually stunning, physical demanding illusions. The performance will be a "greatest hits" compilation of pieces from the company’s 30-year career. Tickets range from $20 to $69 and can be purchased by visiting http://www.ecclescenter.org or by calling 435-655-3114. 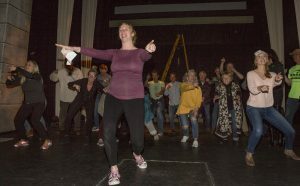 Tickets for Full Moon at the Farm, an evening showshoe event, will go on sale Feb. 7. Tickets are $30 and must be purchased in advance. Tickets can be picked up at PC MARC, 1200 Little Kate Rd., r by calling 435-615-3401. The event will be held Saturday, March 7, and will feature live music by the Motherlode Canyon Band and a chili supper provided by Spencer’s Smokin’ Grill. Snowshoes will be provided by White Pine Touring. For more information, email denise@parkcity.org or visit http://www.mcpolinfarm.org. Mountain Accord host a public forum and open house on Tuesday, Feb. 10, at the Black Box Theater at the Eccles Center for the Performing Arts, 1750 Kearns Blvd., from 6 p.m. until 8 p.m. The forum will discuss Mountain Accord’s proposed blueprint for the future of transportation, recreation, environment and economy in the central Wasatch Mountains. 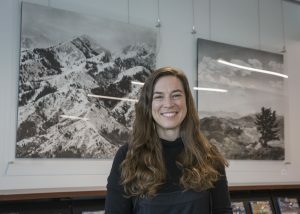 To learn more and provide input, visit http://www.mountainaccord.com. Newcomers of Greater Park City will host its monthly coffee at Park City Community Church, 4501 N. S.R. 224, on Wednesday, Feb. 11, from 10 a.m. until 11:30 a.m. The guest speaker will be Brian McInerney, hydrologist with the National Weather Service. He will give an update on the rain, snow and water patterns for our area. For more information, visit http://www.parkcitynewcomers.org . The Park City Wine Club will host "Tapas & Tastes" at Ruth’s Chris Steakhouse at Hotel Park City on Thursday, Feb. 12, from 6 p.m. The them will be Life Is a Cabernet. A variety of cabernets will be paired with different dishes presented by Ruth’s Chris. Participants must be at least 21 years old. The cost is $40. Reservations are required and can be made by visiting http://www.parkcitywineclub.com . Reservations can also be made by emailing Pamela Wood at parkcitywineclub@gmail.com or by calling Ruth’s Chris at 435-940-5070 .